Summertime is for vacations and road trips; a time when families hit the road and experience the world together. 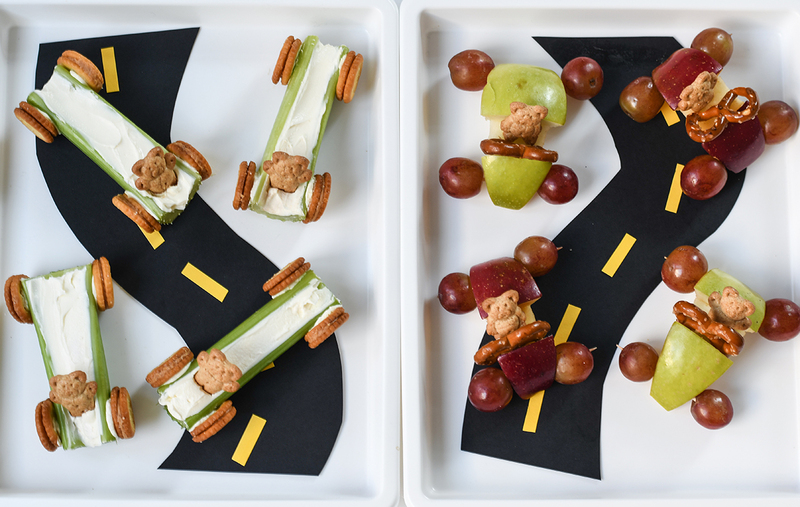 What better way to celebrate family vacations than with healthy snacks in the shape of cars? 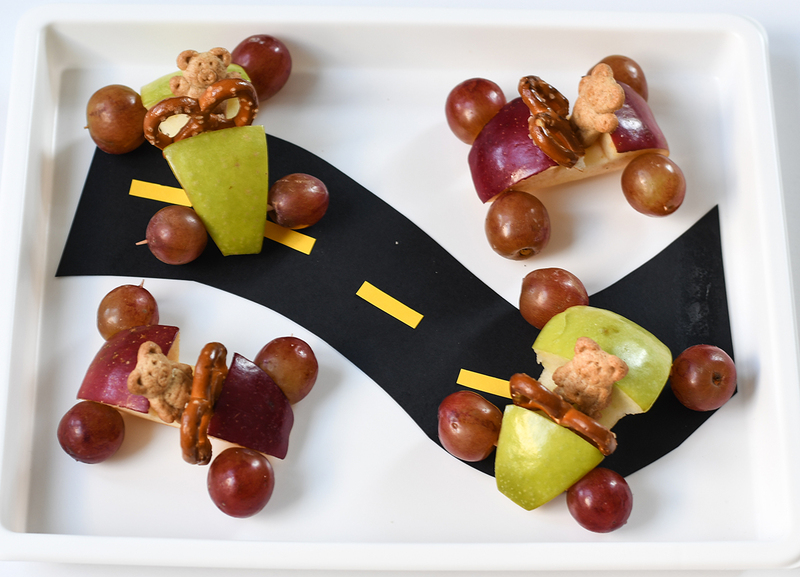 Made with fresh fruits and veggies, these car cuties are super versatile and easy to switch up. Don’t like apples? Use orange slices! Can’t have grapes? 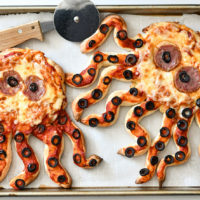 Try cheese for the wheels! 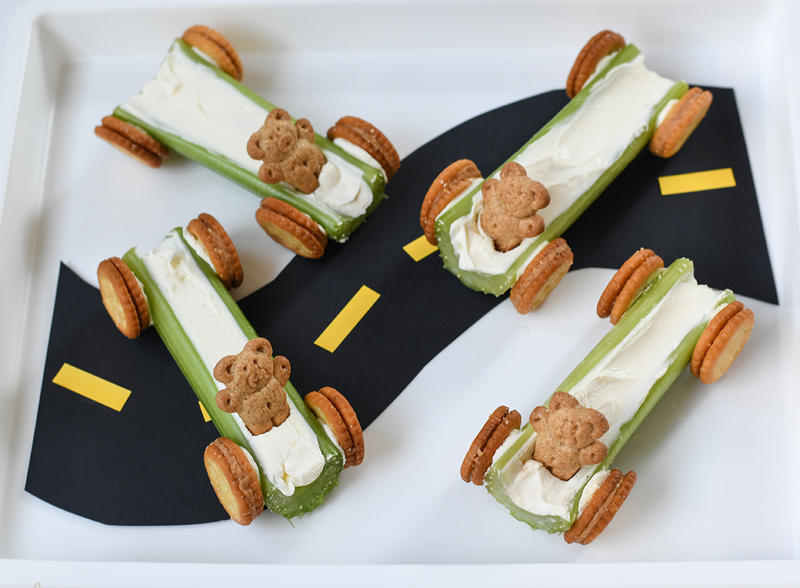 Also feel free to change up the filling inside the celery cars with whatever your kids prefer most. 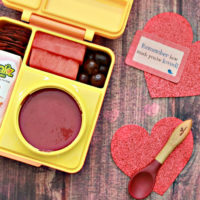 You can try your favorite nut butter, hummus, or even a hazelnut chocolate spread! Fill each celery still with 1 Tbsp (or less) of the cream cheese. 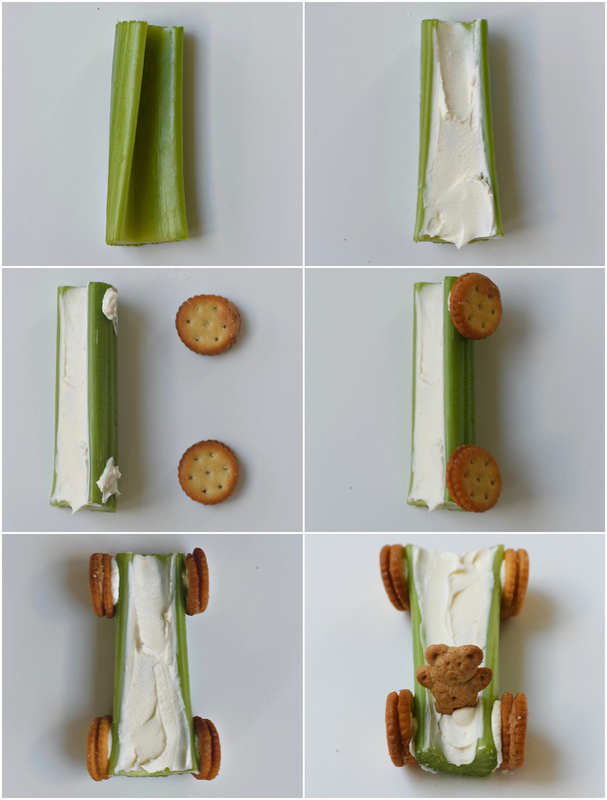 Using the cream cheese as the “glue,” stick each round cracker on the sides of the celery for the “tires”. 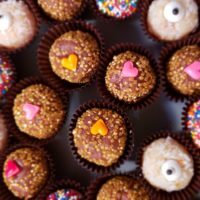 Add a teddy bear cookie “driver”. 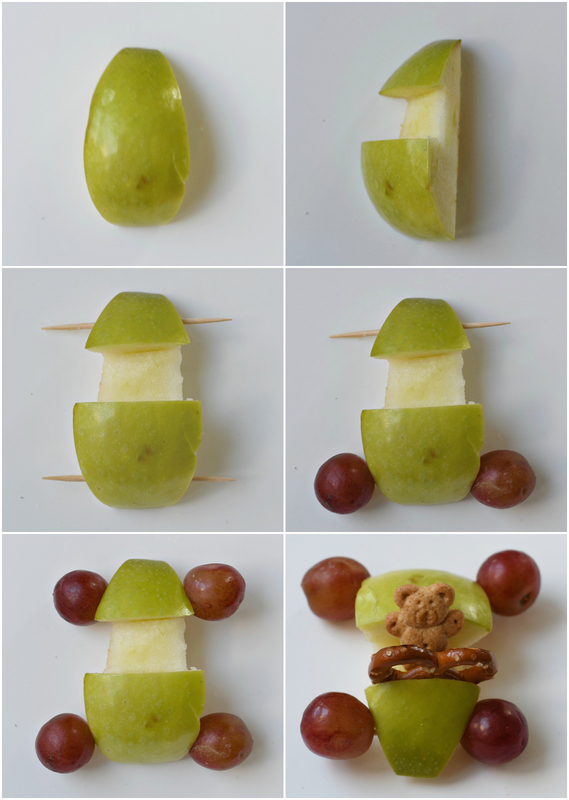 Turn each apple slice on the side. With a small, sharp knife, cut out the “front seat” making sure not to cut all the way through the apple. Place both toothpicks evenly, all the way through each end of apple. Attach a grape “tire” for every side. Add a pretzel “steering wheel” and teddy bear cookie as the driver.